In today’s dog-eat-dog commercial arena, trusting clueless celebrities or characterless characters to pitch one’s products is a bad business decision at best; a quick ticket to Chapter 11 at worst. Inventing a unique corporate superhero, on the other hand, gives companies the means to punch up their sales while instilling a not-so-secret brand identity that will resonate with the youth demographic. What could possibly go wrong? 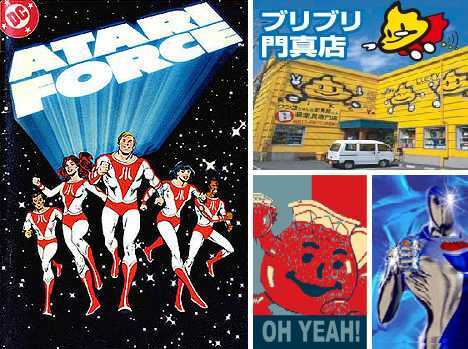 Kool-Aid Man may not fit the stereotypical superhero mold (not to mention the stereotypical superhero tights) but his MO sure fit the bill: kids call out, Kool-Aid Man responds! The big guy doesn’t take any shortcuts, either, crashing through brick walls and dense hedges that would stop mere mortal men in their tracks. 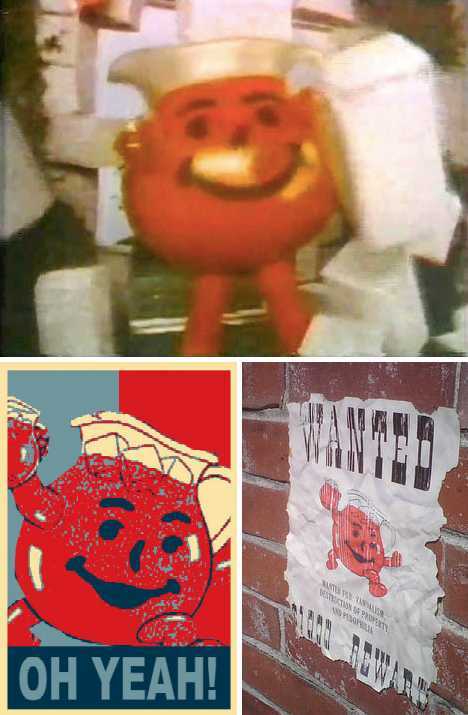 Debuting in 1978, Kool-Aid Man (and Kool-Aid itself) is still around, probably ’cause moms everywhere will buy the sweet stuff in mass quantities to avoid massive home repair bills. OH YEAH!! In the early days of the Great Video Game Revolution of the early 1980s, many social commentators predicted the nation’s youth would throw away their comic books in favor of the futuristic, electronic, paperless excitement offered by console video games. 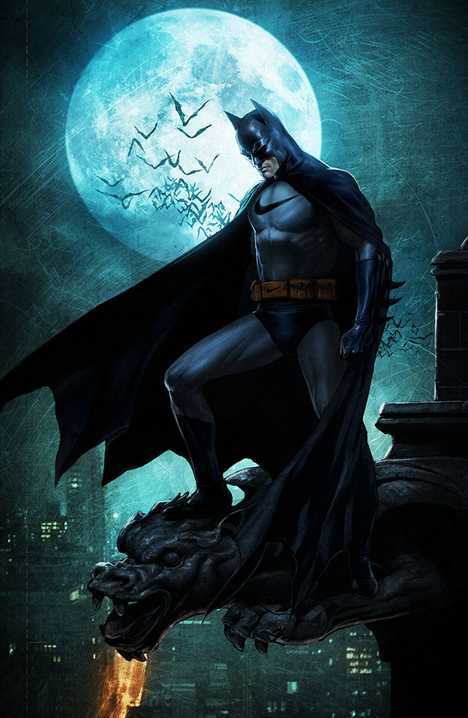 Naturally, the visionary execs at Warner Communications subsidiary saw comic books as the ideal medium with which to promote new games issued by its subsidiary, Atari Inc. 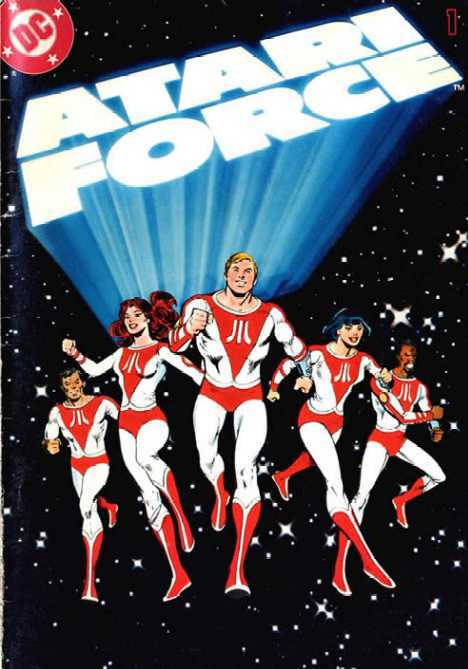 The result was Atari Force, created by Gerry Conway and Roy Thomas for DC Comics (another Warner Communications subsidiary) and featured in two comic book series published by DC Comics beginning in 1982. Alas, the multiracial Atari Force team was helpless to stop the Great North American Video Game Crash of 1983 and by 1984, Atari was history. Roberto Vergati Santos once wondered what would happen if corporate brands branded, as it were, the classic superheroes we’ve come to know and love. Would we still love them… or more importantly perhaps, still respect them? Check out “The Dark Nike” above and decide for yourself. 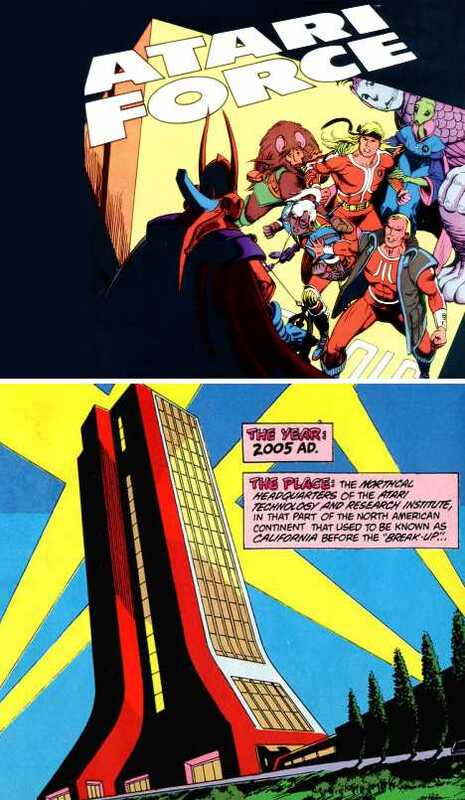 When danger looms, who ya gonna call: Man of Steel or Man of Gelatin? The answer is obvious, unless the danger happens to be the threat of an empty belly. 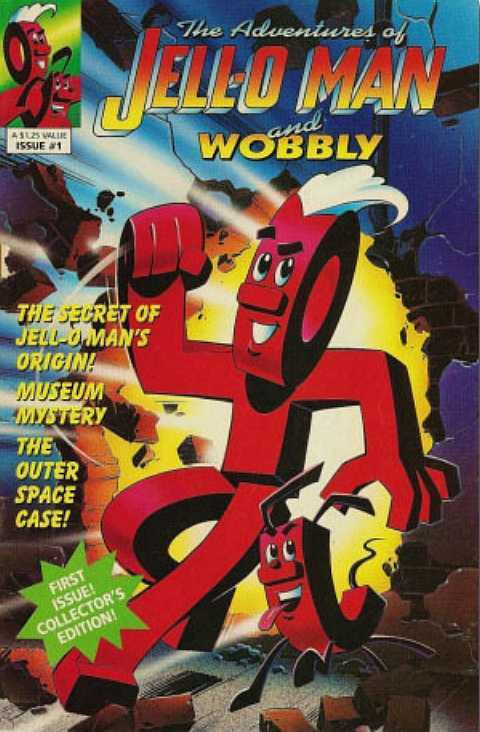 Released at no charge in 1991, the self-proclaimed “Collector’s Edition” comic book The Adventures of Jell-O Man and Wobbly epitomized Kraft Foods’ slightly skewed marketing mojo. Stick to KD, guys, Jell-O’s doing fine. 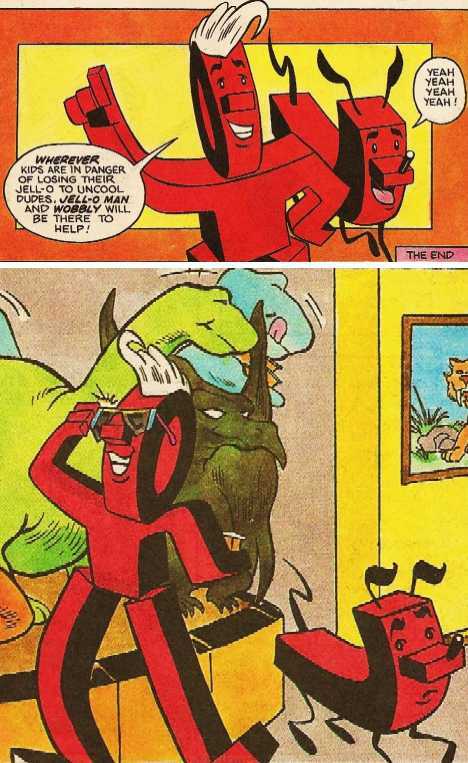 As for Jell-O Man’s vaguely puppy-ish, J-shaped sidekick Wobbly, what can we say… maybe only Robin appreciated him for lowering the bar for superhero sidekicks everywhere. Bad dog, BAD! As for Jell-O Man, we can see his O-face… eww.